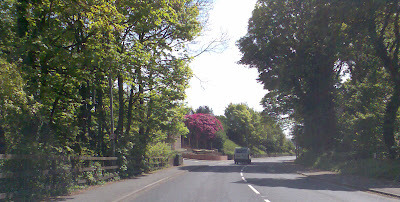 Always nice to be in this street (part of the 595 heading to Workington) in Whitehaven. This was the first time it was sunny, normally we drive out here in the evening or in heavy rain. 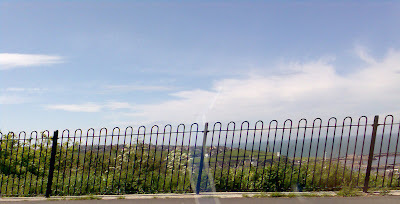 Taken from the car, while driving on the 595, a picture of the Irish Sea from Whitehaven. 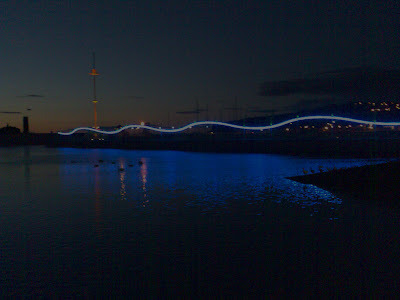 Just outside of the Waterfront restaurant this picture was taken in the evening.